Fort Moultrie, one of the oldest still-standing forts along the Eastern Seaboard, is a "must see" destination for history buffs. The low-laying coastal structure, which encompasses a large parcel of Atlantic Ocean bordering beaches on the southern tip of Sullivan's Island, began as a Revolutionary War defense before being transformed into a secondary Confederate stronghold during the Civil War. 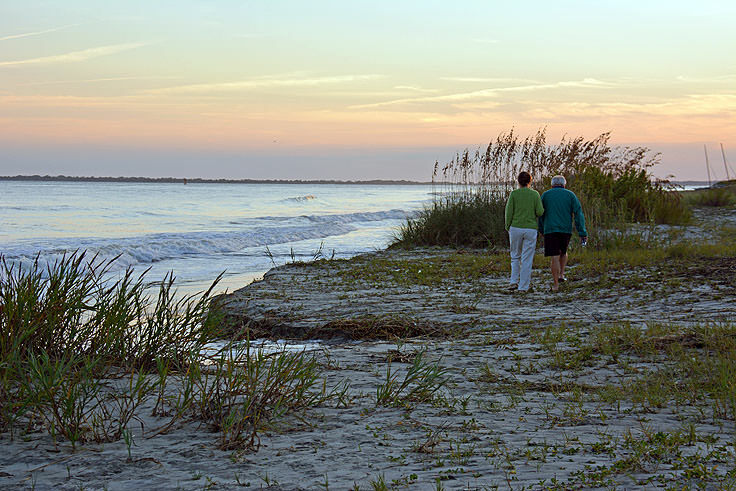 With few distractions from the clear blue ocean beaches and local sites, many regular vacationers to Sullivan's Island attest that when it comes to good times in a great natural environment, Sullivan's Island is hard to beat. 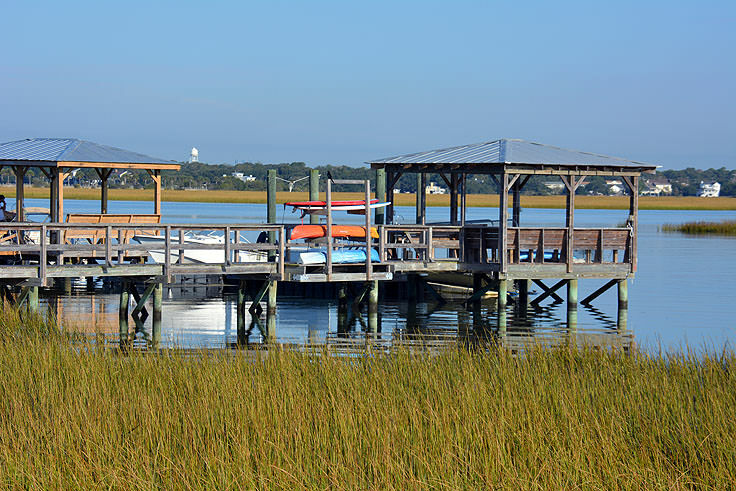 Sullivan's Island is located just south of Charleston, connected by the short Ben Sawyer Bridge, and separated slightly from the mainland by a series of coves and inlets. The island jets out into the Atlantic Ocean and borders the wide opening of the Charleston Harbor - a geographic locale that has made this otherwise discreet barrier island instrumental to early American history. 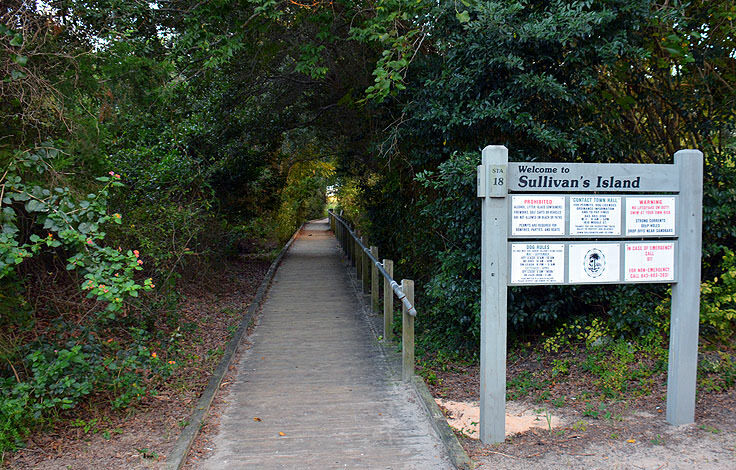 Sullivan's Island was first discovered by English explorers in the 1670s, when a British Captain and new colonist Florence O'Sullivan descended on the area to start a new colony. This new "Sullivan's Island," named in his honor, would gradually become one of the main port towns of entry for fleets of ships accessing the low country area. Sadly, this notable role came with a cost, as in the 1770s, it was estimated that 40% of slaves traded to the North American colonies first arrived at Sullivan's Island - a fact that have made many historians to liken the region to a lesser-recognized Ellis Island for America's African Americans. 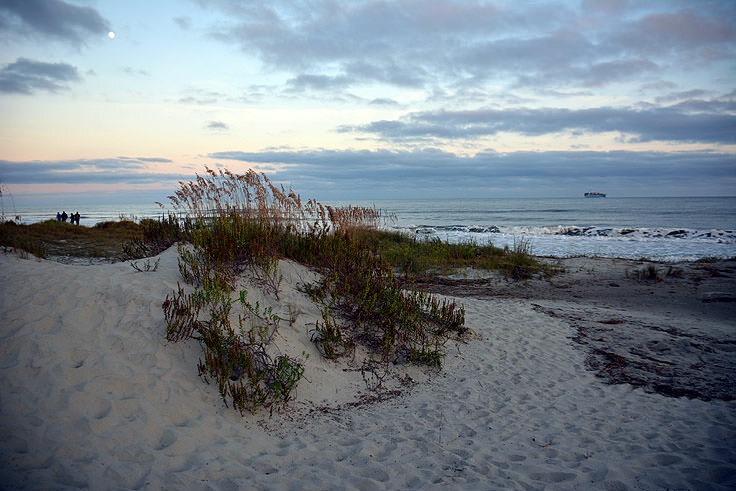 Sullivan's Island would, however, become a source of pride for South Carolinians in the 1770s as well, as on June 28th, 1776, the not-yet-completed Fort Moultrie would be bombarded by British Troops during the initial stages of the Revolutionary War. These attacks would prove to be unsuccessful, however, and after a full day of battle, the 400 American soldiers stationed at Fort Moultrie would wind up triumphant over the British invasion. This victory is still celebrated on Sullivan's Island and Charleston County today, and is known regionally as the "Carolina Day" celebration. The fort, which was named "Moultrie" after the commander who headed this initial victory, would later have a secondary role in American history as the temporary home of famous American writer Edgar Allan Poe, who was stationed at Fort Moultrie from November 1827 to December 1828. Despite its roots tied to the initial colonization by Florence O'Sullivan, the town, which saw little traffic besides the local fort soldiers and lighthouse keepers, was initially divided into distinct communities, and was known as Moultrieville and Atlanticville, respectively. 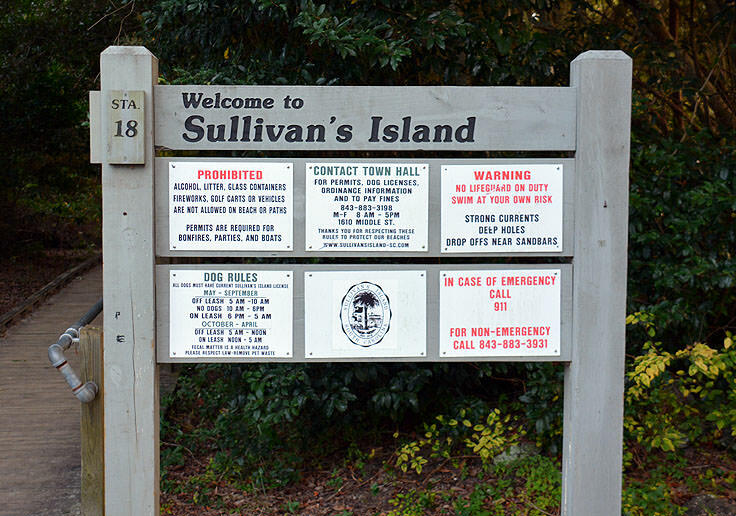 It wasn't until the two towns merged that the community, as a whole, was finally referred to as Sullivan's Island. 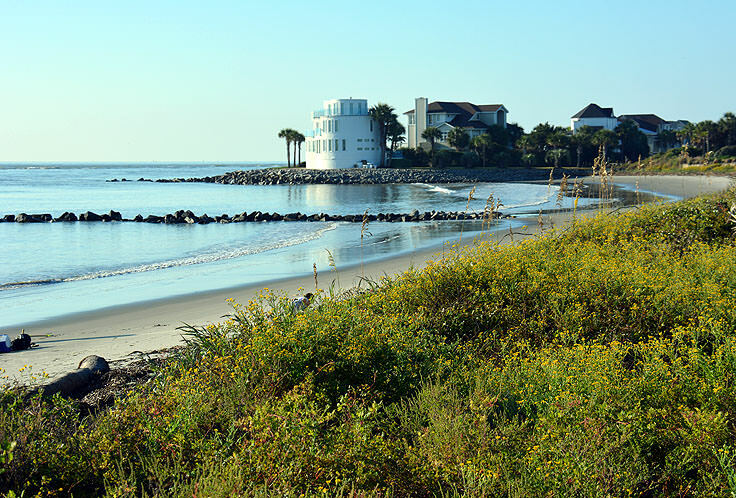 In 1862, Charleston Light, or Sullivans Island Lighthouse was built, making it one of the newest lighthouses in the country, and development gradually blossomed over the ensuing decades, turning the beachside town into a veritable vacation destination. 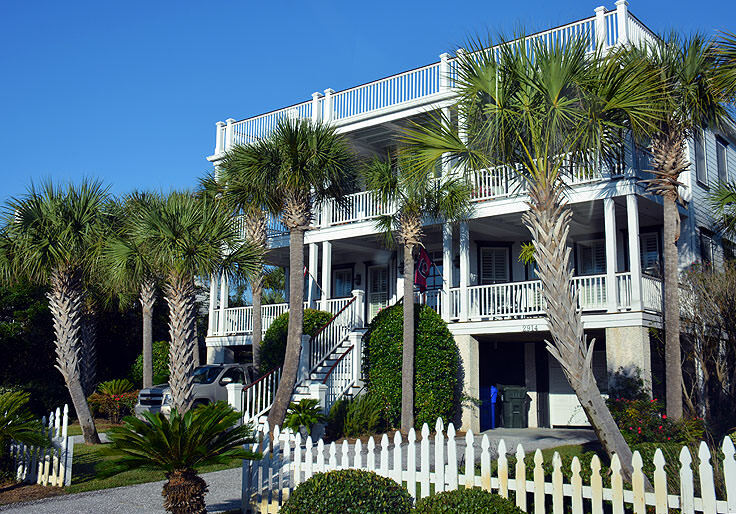 In 2006, Sullivan's Island made waves and national headlines when it became the first municipality in South Carolina to ban smoking in all public places, and today, the island is a collection of vacation rental homes and small businesses that cater to their seasonal vacationing or day-tripping clientele. 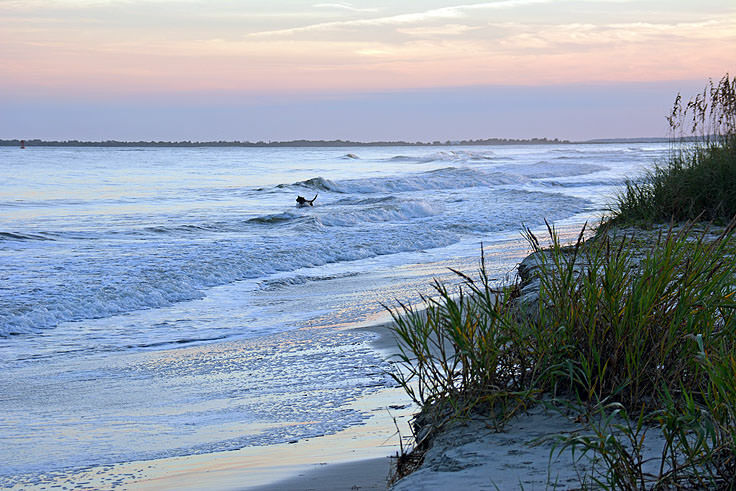 Entertainment seemingly revolves around the water, in fact, as Sullivan's Island is a popular spot for surf fishing, crabbing, surfing, kayaking and even stand-up paddle boarding. 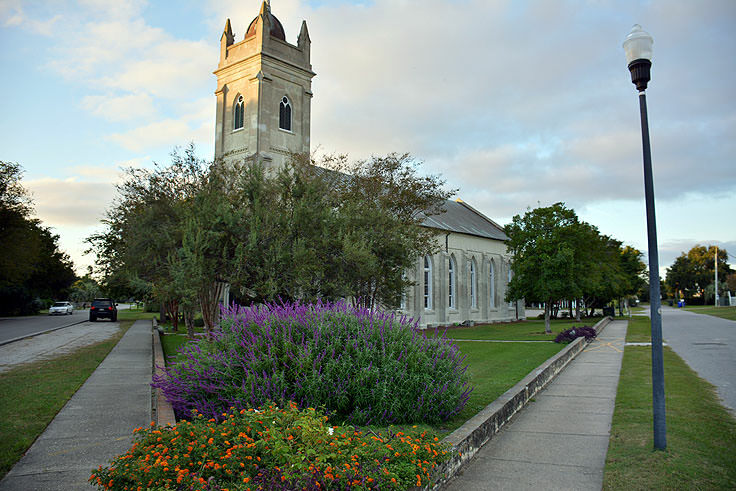 Out of the sun, the town also features an eclectic collection of art galleries and gift shops that are sure to keep visitors entertained for an afternoon or two. 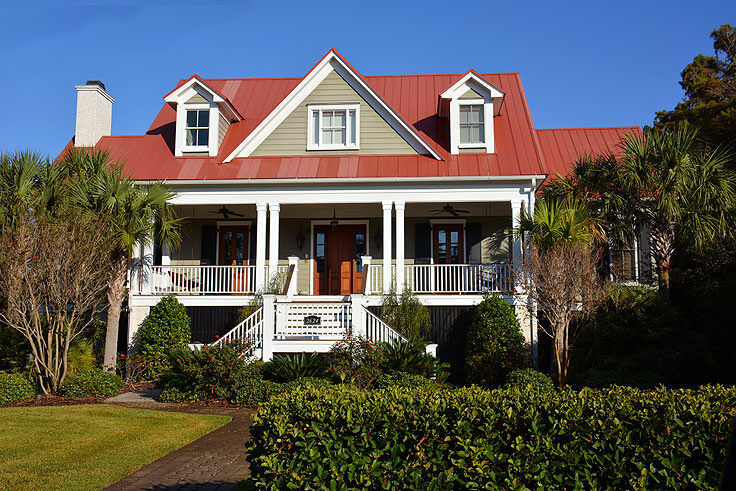 Sullivan's Island also boasts a renowned restaurant district, which is essentially a block or two of famous local BBQ joints, pubs, and even fine dining establishments, all conveniently located in a small center-of-town region. With ample front porch seating and late night hours, the restaurant district is essentially the place to go for a good meal or a late night out on the town. 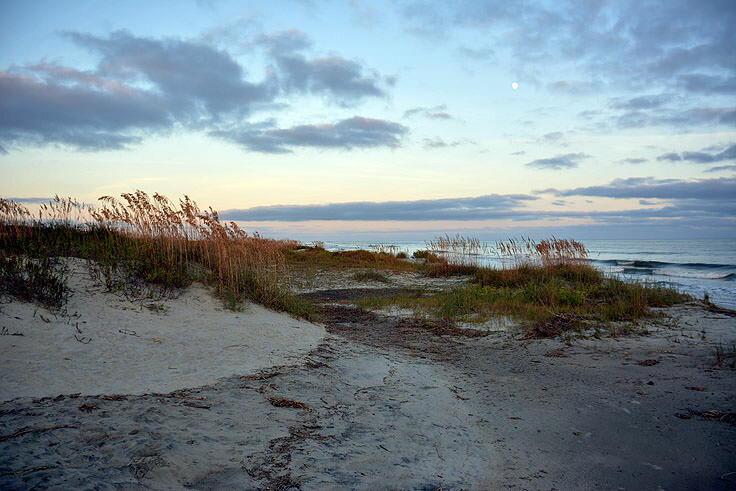 Visitors will soon discover that Sullivan's Island is selectively limited in accommodations, and there are no major hotels, motels or inns on the island. (Although weekend visitors should note that there are plenty of options in Charleston, just a few minutes' drive away.) 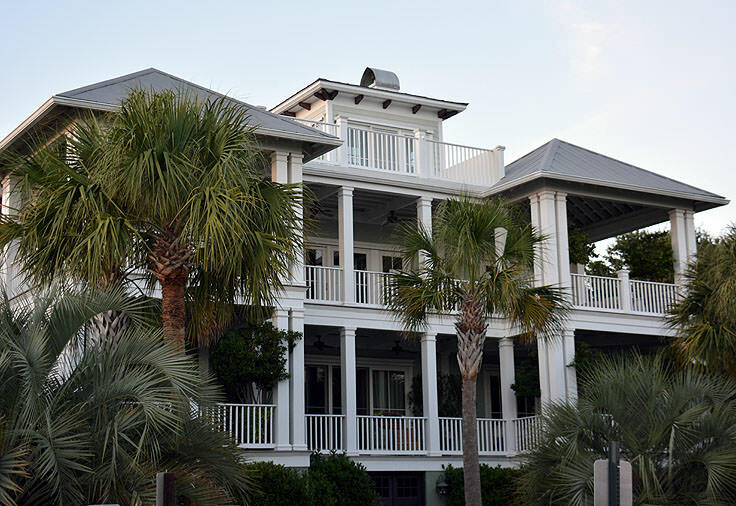 Instead, the island is comprised mainly of vacation rentals and primary residents, and visitors have the option to stay at over 200 of these individual homes. Generally rented in a weekly basis, these rental homes can range from inlet-bordering cottages to 6 or 7 bedroom oceanfront estates, making it easy for parties big and small to find a relaxing and accommodating place to call a temporary home. 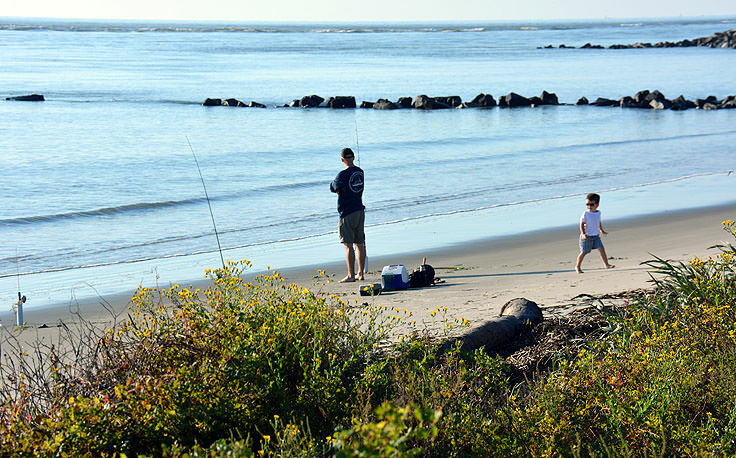 Sullivan's Island has always had a place on the national map as a groundbreaking historical landmark, and one of the initial settlements and battlegrounds of the Revolutionary War, but today the region is clearly known more for its shore side landscapes and miles of sand than for its military exploits. As a result of years of limited development ad careful preservation of its local landmarks and pristine beaches, visitors will enjoy ample sunshine, plenty of room on the shoreline, and small collection of shops and restaurants that invite patrons to pull up a picnic table, grab a cold drink, and stay a while. 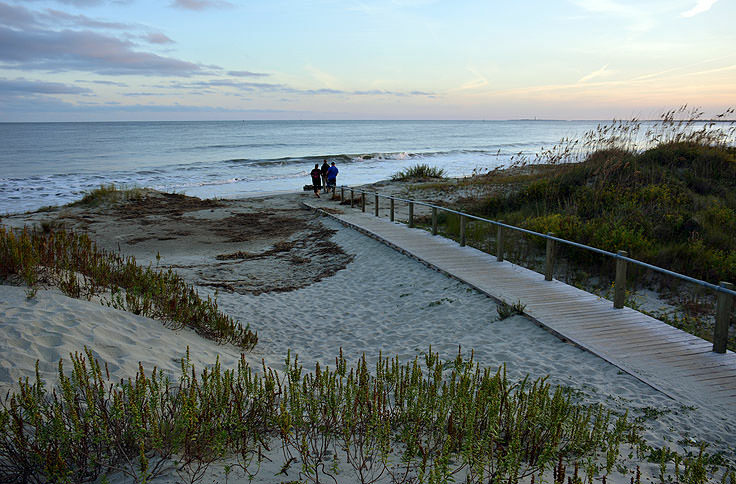 As to go-to destination for busy Charleston professionals who need a break from city life, and visitors in search of a family-oriented beach vacation destination, Sullivan's Island is clearly a gem along the South Carolina coastal scene.